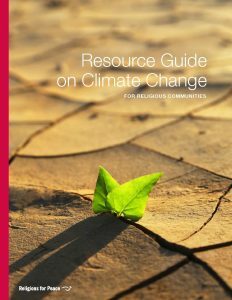 Some materials for promoting, preparing for or practising interreligious dialogue. 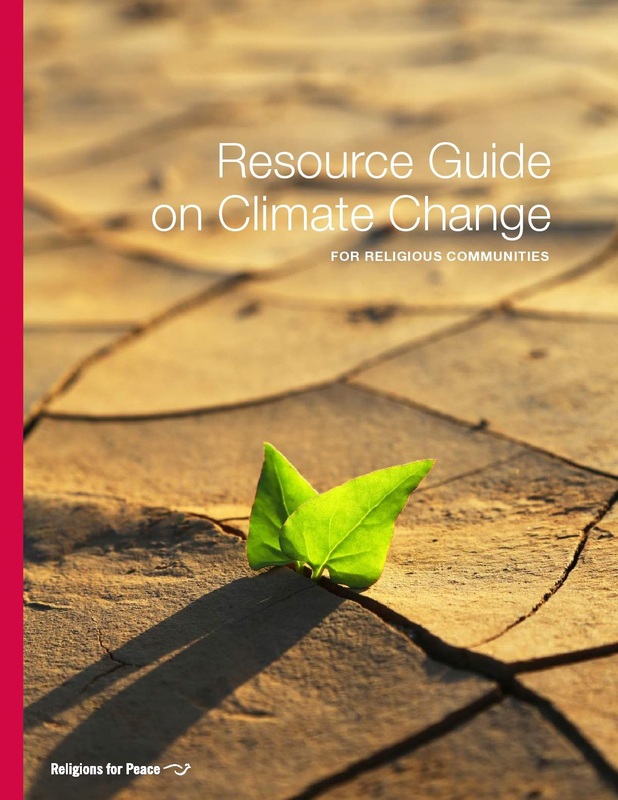 There are also some resources in the relevant sections of the pages on world religions, as well as in the websites on interreligious dialogue. The Golden Rule – treat others as you want them to treat you – is a guide for harmonious living. It is found in all religions, philosophies and cultures across the world. 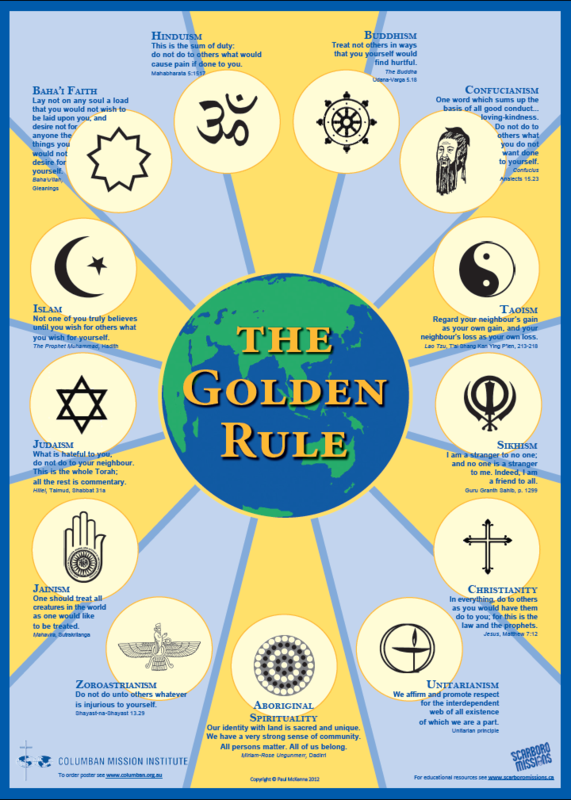 The Golden Rule Poster shows this principle in the sacred texts of thirteen different religions and spiritualities, including the Australian Aborigines. The Poster can be used in schools, homes, congregations, universities, workplaces, hospitals and prisons for teaching compassion, multicultural and multi-religious cooperation and human solidarity. Scarboro Missions also provides a comprehensive collection of Golden Rule resources: workshop guidelines, school curriculum, mediation exercises, videos, multi-lingual versions, business ethics, the global ethic, ecology, commentaries. Gensler, Harry J. “Persia and the Golden Rule.” Religious Inquiries 2, no. 3 (2013): 29-46. A booklet offering some short reflections and examples drawn from the work of Interfaith Network for the UK and its member bodies, with the aim of inspiring and encouraging further discussion and engagement. 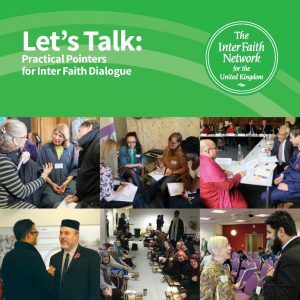 This handy interfaith toolkit is full of useful resources and provides a bird’s eye view of interfaith activity in the United Kingdom. Themes touched on include why dialogue?, dialogue practicalities, dialogue on difficult issues, dialogue over food, limits to dialogue and bi-lateral, tri-lateral & multi-lateral dialogue. It contains practical pointers for dialogue and includes sections on some of the practicalities of dialogue, such as what may make for effective and successful dialogues and how difficult issues may best be approached. This document is published by the Inter Faith Network for the UK (IFN) in partnership with the Department for Communities and Local Government, the Home Office, the Crown Prosecution Service, the National Police Chiefs’ Council and the National Fire Chiefs’ Council. 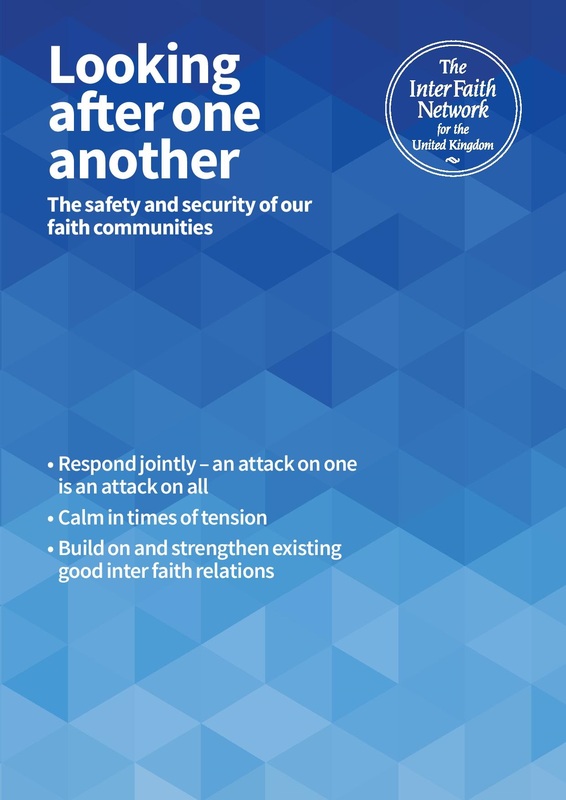 The document contains guidance on responding jointly to attacks on places of worship; working for calm at times of tension; and working to build on and strengthen existing good inter faith relations. 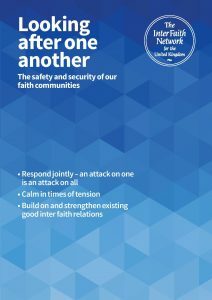 It contains material about how and where to report hate incidents, cyber-attacks, and actual or suspected terrorist activity; where to find information on strengthening the security of buildings; and where to find information about working to build – and strengthen – good inter faith relations locally. These practical pointers for responding in solidarity have particular resonance at the present time when there is a need to watch out for the wellbeing of any groups who may be targeted because of terrorist actions which claim, or are perceived by some, as having a link to them. A press release which accompanied the publication of this document can be found on the Press Releases page. A concise and simple compendium, edited by the Pontifical Council for Interreligious Dialogue, to live this Jubilee year with our brothers and sisters from different religions. 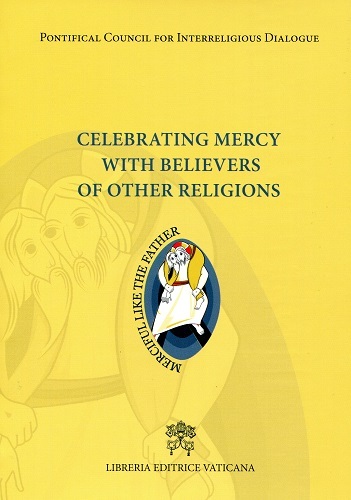 The theme of mercy is actually found in the spirituality of other religious traditions; with this commonality the possibility emerges of sharing moments of spirituality and of interreligious dialogue, as well as concrete works of charity to benefit the needy. The pdf copies of the document available on the PCID website in English and in Italian are under copyright but can be used strictly in a non-commercial way in the mission and work of interreligious dialogue. Bishops Commission for Ecumenism and Inter-Religious Relations. The Catholic Church. Canberra: Australian Catholic Bishops Conference, 2011. 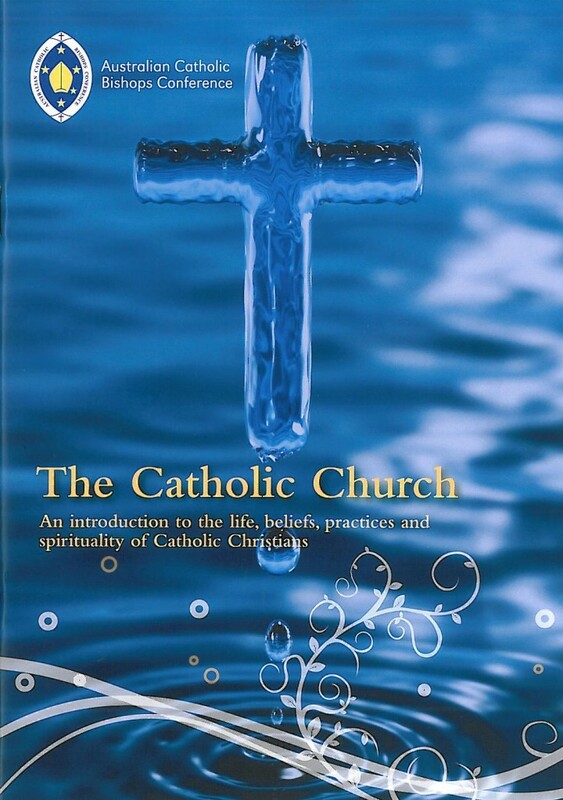 This booklet introduces the life, beliefs, practices and spirituality of Catholic Christians. It is written especially to introduce the Catholic Church to believers from other religions, but it can also be used for Christians from other churches, as well as for anyone who wants to find out what the Catholic Church believes and teaches. Based on the Catechism of the Catholic Church, the brochure presents the key elements of Catholic identity and teaching in very summary form. It also gives reference to official Catholic sources where enquirers can find more detailed information on the Catholic Church. We gratefully acknowledge permission granted by ACBC to make The Catholic Church available on www.columbanird.org. 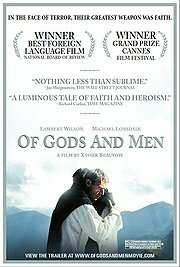 The award-winning film “Of Gods and Men” is set in Algeria in the 1990’s. During the protracted and bloody civil war between violent insurgents and the military regime, more than 200,000 people were killed. The French monks of Tibherine refused to take sides in the conflict but lived in solidarity with the suffering Muslim people who were caught in the crossfire. Warned to leave for their own safety, out of dual fidelity to God and to the people, they chose to stay. This decision cost them their lives. The witness of these monks embodies the ideal Christian attitude to Islam and Muslims. Their story inspires us to follow their example of love and service. The film won the Ecumenical Prize at Cannes 2010. It also won the Grand Prix du Jury from the festival itself. Dom Christian de Chergé was the prior of the Cistercian monastery at Tibherine. During December 1993 he composed a personal Christian reflection on the dangers he was facing. He completed it on 1 January 1994 and posted it to his family for safe-keeping. The document was opened on Pentecost Sunday 1996 shortly after Dom Christian and others of his Trappist community were murdered in Algeria. It has become known as his personal testament. 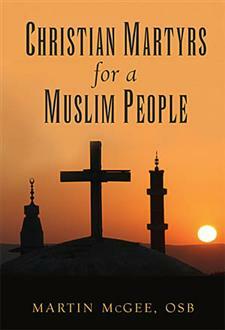 It is a profound meditation on the meaning of Christian presence and engagement with Muslims. Click here the text of Dom Christian’s Testament and a reflection by Fr Patrick McInerney. 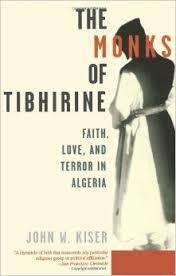 The book tells the story of the monks of Tibherine: Book review by Fr Brian Vale. McGee, Martin. Christian Martyrs for a Muslim People. Mahwah, NJ: Paulist Press, 2008. The author is an English Benedictine monk. He tells the story of the nineteen priests and religious sisters, including the seven Trappist monks of Tibherine, who stayed in Algeria during the 1990’s and were victims of the violence sweeping that country. Based on their letters, journals and on interviews with people who knew them, he recounts their service and commitment to the country, which included the ultimate sacrifice of laying down their lives. For Fr Patrick McInerney’s account of the background to the situation in Algeria and the conflict that was raging around the monks of Tibherine. 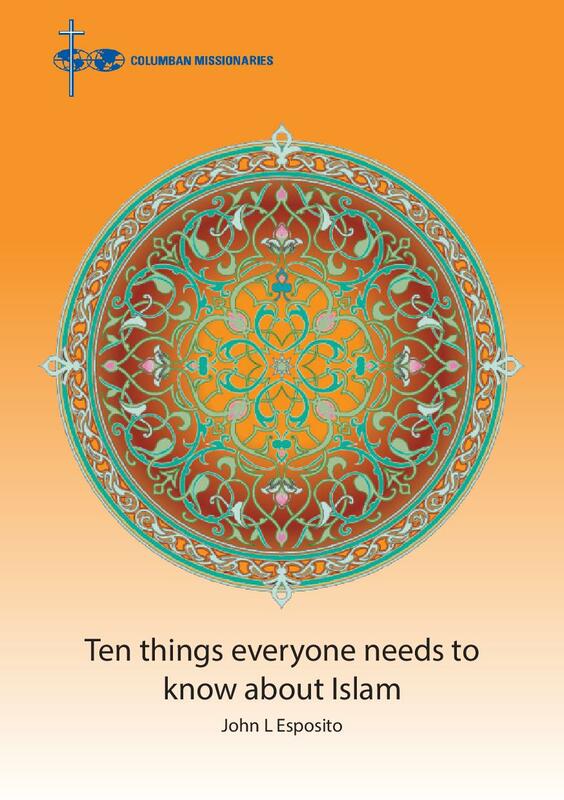 Esposito, John L. Ten Things Everyone Needs to Know About Islam. Essendon, Vic: St Columbans Mission Society, 2016. Professor Esposito is one of the leading experts in Islam in the English-speaking world. He is the editor of encyclopaedias on Islam and the author of over forty books. After the 2001 terrorist attacks in the United States he was called on by the media and government and other audiences seeking explanation of those events. 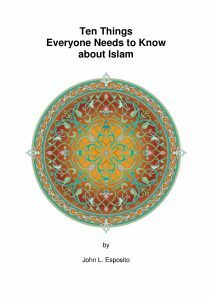 He collated the questions his audiences constantly asked him and in 2002 published his considered answers in What Everyone Needs to Know About Islam. This is an extract from that book and presents his answers to the ten most burning questions that are on everyone’s mind. His answers are clear, direct, balanced and informative. Who needs to read this text? Every teacher, social worker, parish worker, priest, religious leader, community organizer, health worker…. Literally, as the title says, everyone!! This 2016 edition is attractive, accessible and authoritative. Stunning images complement and enhance the author’s text. We acknowledge gratefully permission from the author to publish. 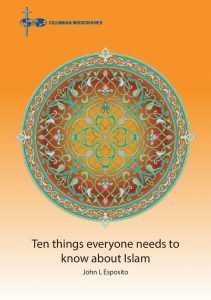 Ten Things Everyone Needs to Know About Islam (2016) is available for sale from St Columbans online at https://www.columban.org.au/donate/shop/columban-books/ten-things-everyone-needs-to-know-about-islam-booklet. 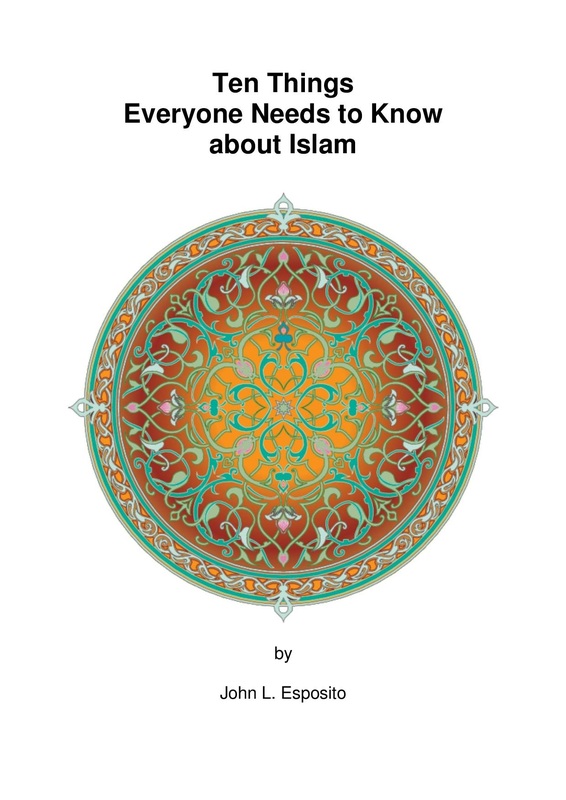 Ten Things Everyone Needs to Know About Islam was originally published by the Columban Mission Institute in 2010 as a plain text and proved very popular with teachers and students. In 2016 the booklet was completely re-designed with stunning images which complement and enhance the text, making it very attractive. This new edition was published by St Columbans Mission and is for sale as per the above link. The Sultan and the Saint film tells one of the great, lost stories from history. Set in a past period of East-West conflict, it speaks with urgency to our present. Two men of faith, one a traveling Christian preacher, the other the ruler of a Muslim Empire, bucked a century of war, distrust, and insidious propaganda in a search for mutual respect and common ground. It is the story of Francis of Assisi and the Sultan of Egypt, and their meeting on a bloody battlefield during the period of Christian- Muslim conflict known as the Crusades. The film tells the story of a little-known encounter between Saint Francis of Assisi and Sultan Malik Al-Kamil, who met during the Fifth Crusade and were each transformed in notable ways. 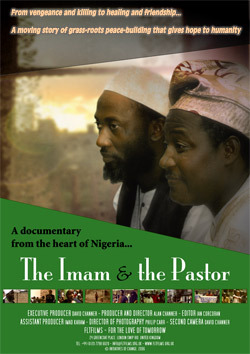 Told with cinematic-style reenactments and interviews with renowned historians, art experts, religious thinkers, and brain scientists, the film centers on these two men of faith, who had an improbable meeting during a terrible period of religious conflict between their faiths, and discovered a way of finding peace between them. In 1219, during the worst days of the Fifth Crusade, across a grim battlefield groaning with death and horror, Malik Al-Kamil, nephew of Saladin and Sultan of Egypt, welcomed two odd-looking Christians into his well-appointed tent. They were humble friars, men of a religious order pledged to poverty and nonviolence, dressed in rough robes and bare feet. Their heads were shaved, their cheeks hollowed from the deprivations of their devotions. They had risked everything to cross these battle lines. But the lead friar, a man named Francis of Assisi, modeled his whole life in the imitation of Jesus Christ, and was seeking to bring an end to the decades-long war between Christians and Muslims. When Francis departed, he left with a deeper understanding of Islamic spirituality that was reflected in later writings that urged Catholics to treat Muslims with greater respect. Al-Kamil continued to welcome all opportunities to engage and discuss with the Christians, and a few years later, he succeeded in concluding a treaty with the Holy Roman Emperor that finally ended the suffering of the bloody Fifth Crusade. Pulsating with the vibrant colours and music of West Africa, the film offers a message of hope for the world from an unexpected quarter. At a time when many in the world are wondering whether friendly relations are possible between those of Muslim and Christian background, the Nigerian protagonists of this film assert emphatically that they are. In recent decades, Nigeria has been rocked with alarming frequency by ethnic and religious conflicts, with tens of thousands killed and whole communities devastated. In the 1990’s, Pastor James Wuye, a Pentecostal Minister, and Imam Muhammad Ashafa, a Muslim leader, led opposing armed militias, dedicated to defending their own church and mosque communities as violence broke out in Kaduna, northern Nigeria. In pitched battles Imam Ashafa lost his uncle and two cousins, and Pastor Wuye lost his arm to a machete blow. Their personal losses fuelled their hatred for each other. They became sworn enemies, even to the extent of trying to have the other killed. Now the two men are co-directors of the Muslim-Christian Interfaith Mediation Centre in their city, leading task forces to resolve conflicts across Nigeria. The Imam and the Pastor tells how they made this remarkable transition. It is both a moving story of forgiveness and a case study of a successful grassroots initiative to rebuild communities torn apart by conflict. The film received the Peacemakers in Action Award presented by the Tanenbaum Center for Inter-Religious Understanding (NY) in 2000. As an exercise in interfaith dialogue, compose a peace declaration that is relevant to your situation to which you and your dialogue partners can commit! Publicise and promote your shared commitment in your local media. Irish Columban, Father Eamon Adams, has been working in Korea for many years. He has expertise in interreligious dialogue, especially with Buddhists. In this video some of his dialogue partners share their reflections on interreligious dialogue. 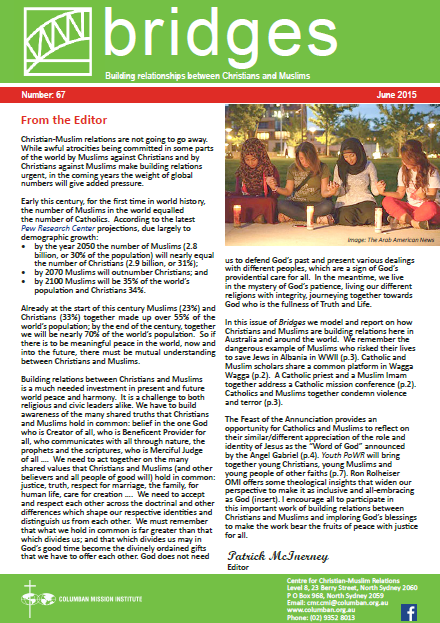 Bridges is the free, quarterly newsletter of the Columban Mission Institute’s Centre for Christian-Muslim Relations. It contains news from the Centre, news from the world, feature articles on Islam and interreligious dialogue and coming events. Subscribe on-line on the ANZ Columban website at http://www.columban.org.au/publications/bridges/index/. N.B. Some feasts begin at sunset the evening before and end at sunset of the following day. International and national civic days of celebration e.g. anniversaries of foundation, independence and commemorations of significant national leaders and events, also provide opportunities for believers from different religions to come together to demonstrate their shared citizenship and contribution to society. 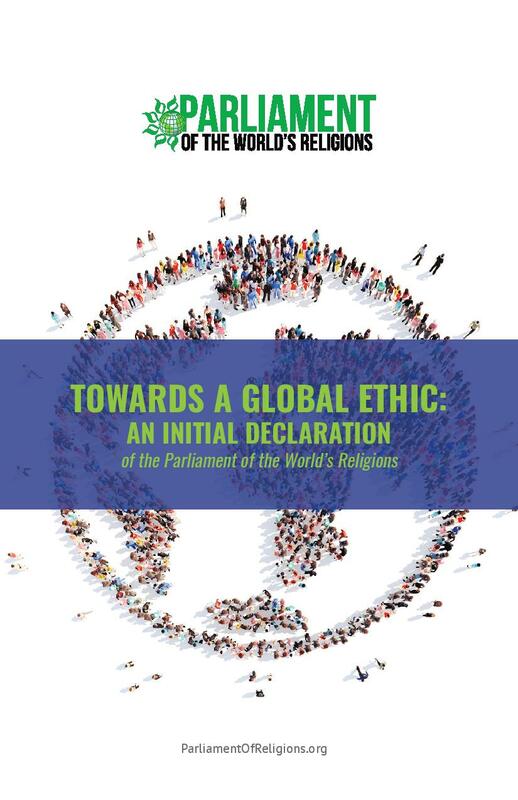 “Declaration Toward a Global Ethic”, Parliament of the World’s Religions, 4 September 1993. 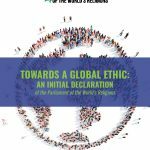 “Drafted initially by Dr. Hans Kung, in cooperation with CPWR staff and Trustees and experts drawing on many of the world’s religious and spiritual traditions, Towards a Global Ethic: An Initial Declaration identifies four essential affirmations as shared principles essential to a global ethic. Affirming respect for all life, economic justice and solidarity, tolerance and truthfulness, and equal rights and partnership between men and women, the document elaborated eloquently on the significance of each value for our modern world. Endorsed at the 1993 Parliament of the World’s Religions in Chicago, USA, Towards a Global Ethic urges all men and women of good will to join in the commitment to these vital shared principles. In our multi-religious societies of today, where believers from different religions are living, working and socialising side-by-side, it is inevitable that some of those who fall in love and want to marry will belong to different religions. Such interfaith marriages are a particular form of interreligious dialogue. They are not just occasional interfaith encounters or meetings, such as those in which most interfaith activists engage, but they embrace the whole of life, including spousal intimacy and life-long commitment. As such, interfaith marriages are a blessing and a witness for the individuals, for their families and for their societies, of the power and depth and reach of interreligious dialogue. However, they also have many challenges. These may include issues of acceptance of the fiancée /spouse by partner’s family, permissibility of such marriages in the laws of their respective religions, who is to conduct the marriage ceremony and how to make it inclusive of both religions, the religious formation of the children and the observance of different religions in the one household. Accordingly, interfaith relationships and marriage need particular guidance and support. As attitudes, customs, practices and law vary in different countries, we recommend that people in interfaith relationships seek advice from the religious leaders in their country who are sympathetic to the pastoral and religious issues involved. However, we do provide for study some resources which address the possibilities and challenges of interfaith marriages. Among the many documents on the resources page of the Secretariate for Ecumenical and Interreligious Affairs is the 2011 document prepared by the Mid-Atlantic Dialogue of Catholics and Muslims: Marriage: Roman Catholic and Sunni Muslim Perspectives. There may be local, national, religious legal restrictions on interfaith marriages, so always check with the local religious leaders of both partners involved in or intending such marriages. Fr Ron Rolheiser OMI is a prominent figure in contemporary Catholic spirituality whose feature column in the Canadian newspaper, The Western Catholic Reporter, is now carried by 100 newspapers worldwide. In this reflection, Fr Rolheiser draws on theology to offer ten principles to guide our exchanges with people from other religions. Many Columbans have had very diverse experiences of interreligious dialogue (IRD) in different countries and in various different religious and cultural contexts. This MSSC IRD MANUAL is a collection of these diverse experiences and collective insights of Columbans and others. It is tailored specifically for those who are currently training to be Columban Missionaries (both lay and ordained) and who will be entrusted with the Columban missionary commitment to dialogue into the future. Scriptural Reasoning is a practice of inter-faith reading. Small groups of Jews, Christians and Muslims, and sometimes people of other faiths, gather to read and reflect on short passages from their scriptures together. Dear interfaith colleagues: We are happy to share with you this directory which features inter-religious activity in 20 Spanish-speaking countries. Included here are websites of inter-religious organizations as well as news articles about relevant activities and events. Also included are websites of specific religions in some countries, for example, Buddhism, Judaism, Christianity, Islam and Hinduism. This is not meant to be a comprehensive directory – we, therefore, invite any Spanish-speaking interfaith groups not included in this directory to send us information about their work. It is estimated that there are 550 million Spanish-speaking people throughout the world, most of whom reside in Latin America and the Caribbean. Approximately 45 million people live in Spain. To view or download this directory, see attachment. Please consider forwarding this directory to colleagues and friends and posting it on websites and social media. For your Spanish-speaking colleagues, see below the Spanish version of this announcement. Queridos colegas en Interfé: Nos complace compartir con ustedes este directorio, en el cual muestra la actividad en el área de diálogo inter-religioso en 20 países de habla Hispana. No sólo incluye páginas de internet de organizaciones dedicadas al diálogo inter-religioso, sino artículos de noticias acerca de actividades y eventos pertinentes al tema. También incluye páginas de grupos religiosos específicos, por ejemplo, Budistas, Judíos, Cristianos, Musulmanes e Hindúes. Nuestro directorio está en continua construcción, razón por la cual invitamos todos los grupos interfé de habla Hispana que todavía no estén listados a que nos envíen su información. Se estima que aproximadamente 550 millones de personas alrededor del mundo son de habla Hispana, una gran mayoría de los cuales se encuentran en América Latina y el Caribe, y 45 millones en la península Ibérica. Para ver o descargar el documento refiérase al archivo adjunto. Por favor considere reenviar este directorio a colegas y amigos o compartirlo en sus páginas de internet y redes sociales.